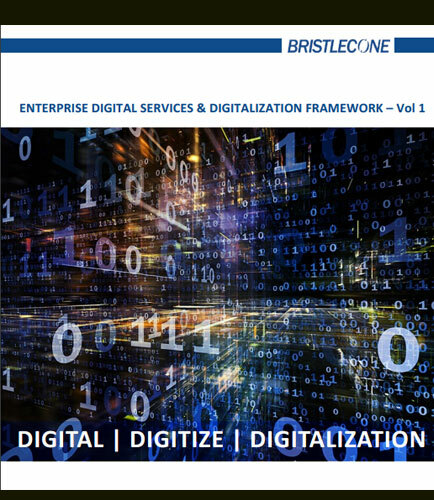 "A Framework for Enterprise Digital Services & Digital Business"
Since digitalization is the key to enhancing customer experience, organizations go through the digitalization journey to create an ecosystem and provide a significant number of products and services which focus on the customer experience. This whitepaper defines digitization as the process by which various analog elements into electronically readable formats in order to create a paperless environment in an organization. Digitalization creates a unique experience for all customer interactions in a controlled and predictable vendor environment.